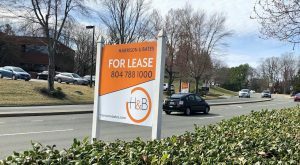 Updated: Gather moving downtown location to Broad St.
Just months after extending its reach to Short Pump, a local coworking chain is looking to reposition its original location three blocks north. 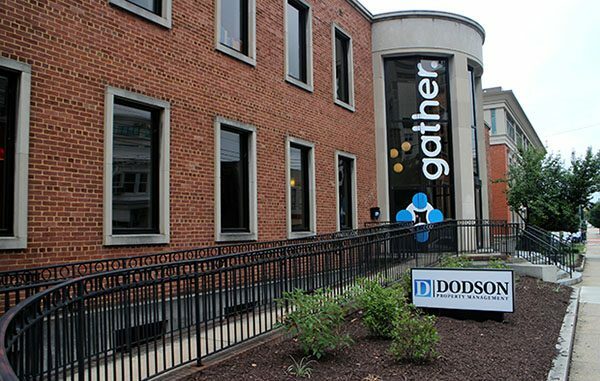 Gather plans to move its downtown coworking space from 409 E. Main St. to 309-315 E. Broad St., a cluster of four buildings owned by an entity tied to Gather co-founder Duke Dodson, president of Richmond-based Dodson Property Management. 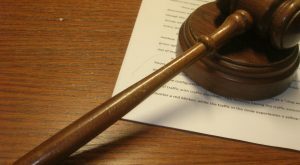 The move was announced to Gather members on Wednesday, in an email stating that the change in venue will occur in early 2019. Dubbed Gather City Center, the new space will occupy about 20,000 square feet on the buildings’ second and third floors, with 10,000 square feet of retail space available on the ground level. 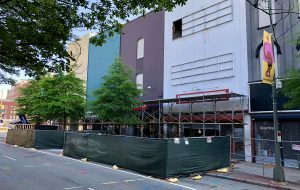 Managing partner James Crenshaw said the downtown Gather will remain open until the City Center location is ready, and that current Gather members will have first choice on office spaces in the new digs. 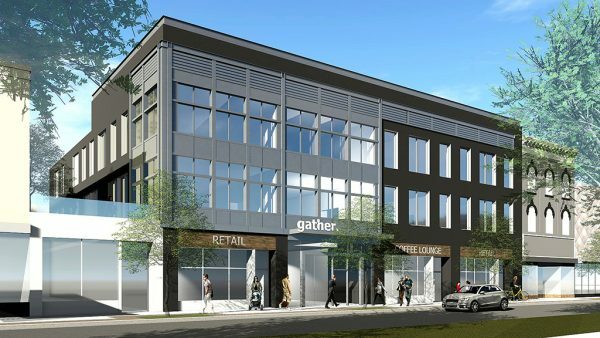 He added that Gather is taking requests from members for custom floor plans, particularly for companies that work at Gather and have more than 20 employees. “They’re not all startup companies that work out of Gather, it’s popular outside of the typical freelancer and startup,” Crenshaw said. The new downtown Gather will be staffed with two full-time employees and feature over 100 private offices, meeting rooms, communal areas and a large rooftop deck. 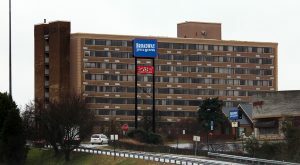 The email to members also emphasized its location along GRTC’s bus-rapid transit line and near other development occurring along the corridor. Next door, another entity tied to Dodson purchased a one-story building at 317 E. Broad St. last May. 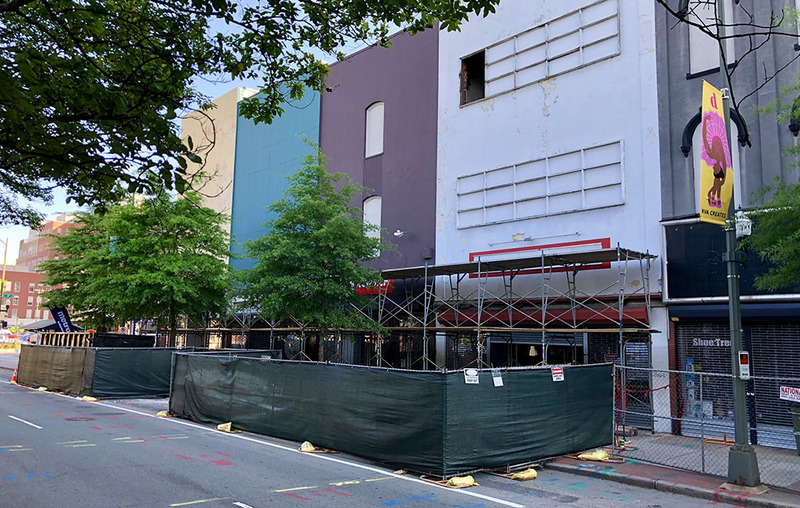 Across the street, local developer Monument Cos. purchased the Sunny Men’s Wear building last summer with plans for 20 apartments above a restaurant by Chris Tsui’s EAT Restaurant Partners. The email states details are being ironed out regarding parking, floor-plan options and an exact opening date. It lists a target opening of January 2019. 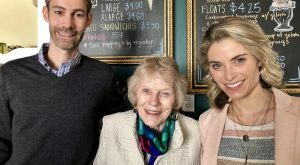 Since launching on Main Street in 2014, Gather has opened two additional locations: Scott’s Addition in 2016 and West Broad Village in Short Pump earlier this year. 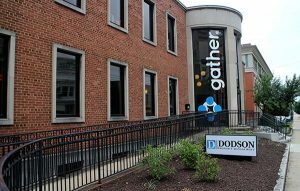 In addition to Dodson, Gather is owned by Crenshaw, Andy Beach and Jeff Bunch of UrbanCore Development and Doug and Polly White of Whitestone Partners. UrbanCore Construction is the general contractor for the new location, with Hickok Cole Architects and Walter Parks Architects collaborating on shell designs and designing the exterior facade. Virginia Commonwealth Bank is financing the project. Dodson Development E Broad LLC purchased the Broad Street buildings in September 2016 for a combined $1.9 million. 5 Comments on "Updated: Gather moving downtown location to Broad St."
This whole renaming Jackson Ward to City Center is a disgusting attempt to downplay the immense history and significance of the neighborhood. City Center sounds so generic anyways. Be more original in your gentrification efforts. We welcome your money Dodson, but cut the crap with the gentrification naming efforts. We are Jackson Ward. We will never be City Center. I think Jackson Ward is a great neighborhood with tons of history. Certainly not trying to rename or replace Jackson Ward. Thank you for your response, Duke. Perhaps I’m just too weary of change. This is a great neighborhood. It’s been awesome to see how Gather has evolved over the years. What will be done with the building on Main St?